A fun podcast for you this week as I’m joined by “Entertainment Tonight’s” Lauren Zima. She covers all things “Bachelor Nation” for the show and is a lot of fun to talk to. For those not interested in spoilers or hearing anything about Colton’s season, this podcast might not be for you. We don’t go into tons of details, but there are spoilers about his season in this podcast, so you’ve been warned. Lauren has some great insight on the show as she’s been allowed access to contestants and photo shoots that not all reporters get. I’m always interested to hear people’s stories of how they got their break in LA and Lauren certainly has one. The other interesting thing about this podcast is that we recorded it last Friday, and during our recording is when the Kaitlyn/Shawn breakup happened. So that was interesting as we actually had to take a break because Lauren had to go on air and file a story. As always, if you want to respond to the interview, please include Lauren’s Twitter handle (@LaurenZima) in your replies. A very fun talk with Lauren, and stupid me, I completely forgot to ask the riddles. Oh well. Maybe next week. Lauren will definitely be on again as we get into Colton’s season. 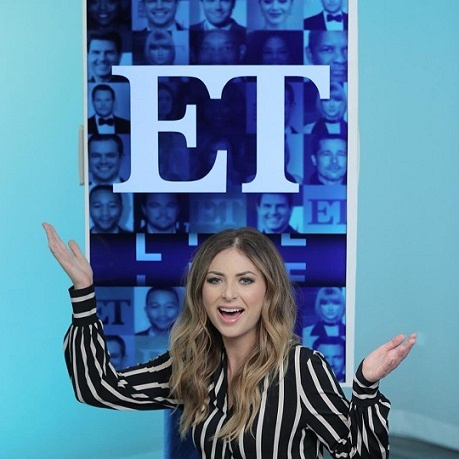 (SPOILERS) Lauren joins me to talk about how she got started in the business, her first live hit on TV (7:08), making the move to LA after years in Missouri (10:43), her idols in the industry (21:31), how long has she been a fan on the “Bachelor” franchise (24:36), how she ended up being ET’s #1 reporter for all things Bachelor Nation & her favorite season (26:44), the Kaitlyn/Shawn breakup which happened as we were recording (29:05), Lauren asks me if I’d ever do the show (35:09), her thoughts on Colton’s season and the choice of him over Blake or Jason (37:16), DWTS choosing men over women from Bachelor Nation (54:53), contestants getting TV gigs and if it bothers her (59:31), her “Roses and Rose” YouTube show and the new show she just started (1:03:09), and we end with the Final 10 (1:07:31). Thank you! When do Fantasy Dates end, and do you think you will get any info on that?